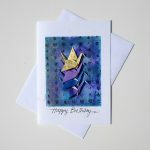 Summer is a good time of year to stock up on birthday cards. 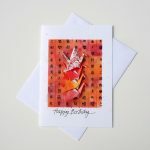 I have designed a collection of 19 birthday cards featuring origami cranes, butterflies and flowers. 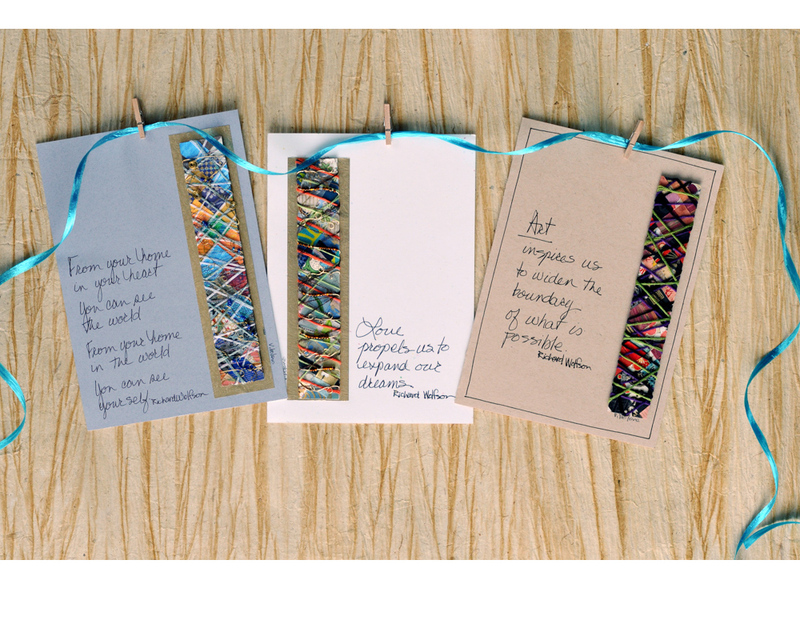 There is also a three-card set for the price of two individual cards. All my cards are customizable. While the photos show the cards with “Happy Birthday” as the greeting. You have an opportunity to select or even write the greeting of your choice. 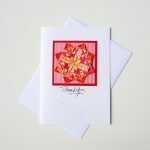 I will also write a personal message from you on the inside of the card and even mail the card for you. My hand-crafted cards are 5″x7″ (12.7 cm x 17.8 cm) and come in a clear, archival protective sleeve. I include a mailing envelope for your use. You’ll find that all my cards are suitable for framing. 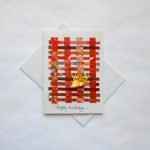 I create each of my greeting cards by hand using Japanese paper to create beautiful and unique collages. 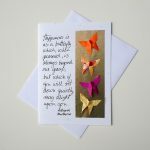 Many of my cards feature hand-folded origami cranes, some on a crisscrossed field of Japanese papers. 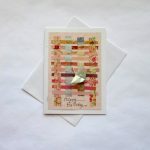 I also have cards featuring hand-folded origami butterflies,hearts, and flowers.